At Quigg Engineering Inc., our structural and hydraulic engineers work with our clients to identify and understand their project constraints, goals, budgets, and time frames. Our staff will strive to understand and work towards your project requirements. 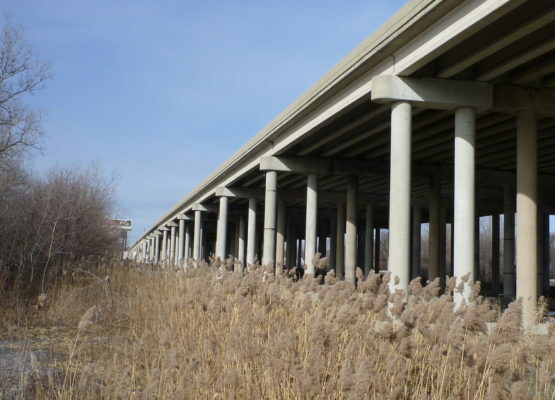 Our structural engineers have extensive experience with the design and inspection of highway, railroad, pedestrian and utility structures as well as other structure types. Additional capabilities of our structural engineers include performing bridge inspections and rating services. Our bridge inspections are conducted by NBIS trained personnel and can be conducted on typical bridges or major river bridges. Bridge load ratings can be completed on most structure types using ASD, LFD, LRFD, Special Design Vehicle, Legal Loads, and Permit Loads. We currently have 4 licensed SE’s on our team. If you are looking for more information on how Quigg can help your structural project succeed, contact us for more information.